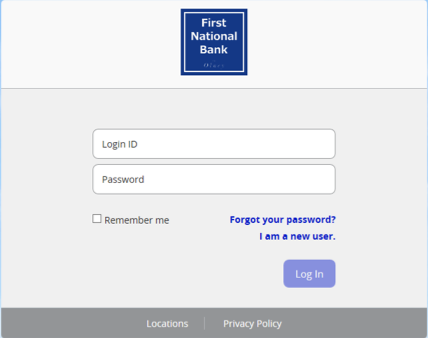 Welcome to First National Bank in Olney’s Online Banking! Please feel free to contact your local branch on any questions you may have. 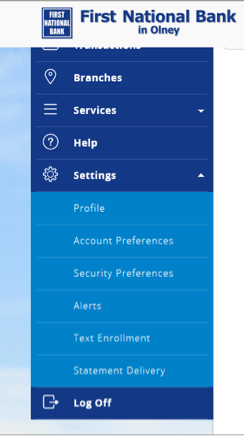 Also, the Help button is available throughout online banking with very useful information to assist with questions. 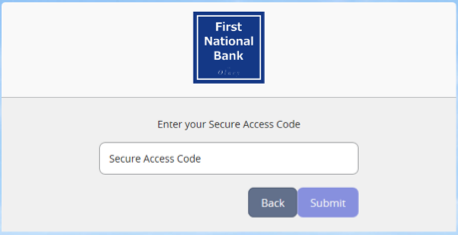 Select "I am a new user"
Select how you would like to receive your secure access code. 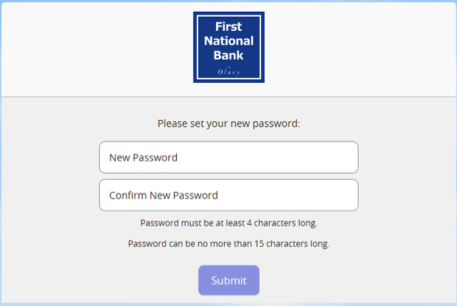 This is not your Password. You will only use this secure access code one time. The secure access code is only good for 15 minutes. 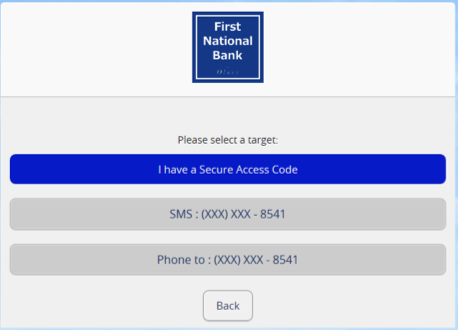 You will then receive your secure access code via email, phone call or text message. Once you receive the code, enter it. You are now able to view your accounts. Click the button “I accept" to accept the terms of the agreement. 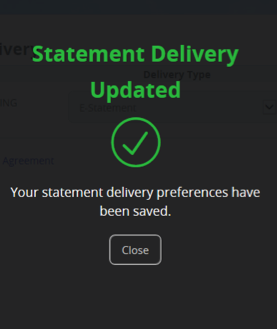 You will receive a message that the Statement Delivery has been updated. Then click Close. 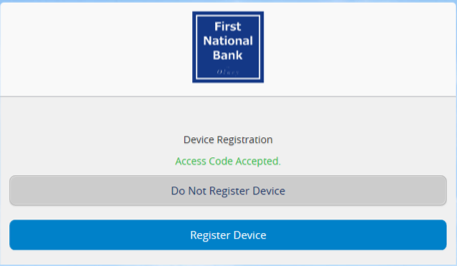 A separate window will open with the code, enter the code in step 2 and click Verify. 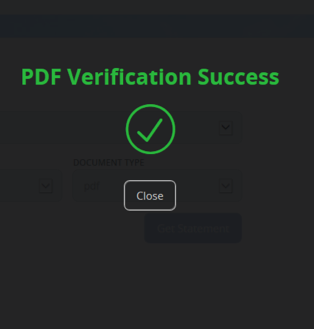 You will receive a message that the PDF Verification was a success, then click Close. 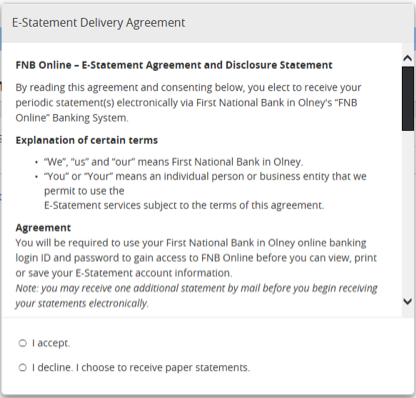 To View Your Monthly Statements: You will go to Transactions, then Statements. Remember: If you are enrolling for online statements for the first time, you will have to wait until your statement cycle to view your first statement. Your statement will open in a separate window for you to view and print. Select Main Account to pay bills from. 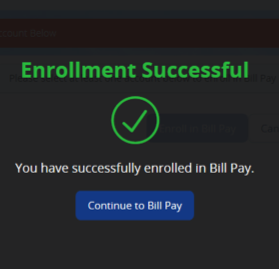 Click "Enroll in Bill Pay"
You will receive a message that the enrollment was successful then click "Continue to Bill Pay." You are now enrolled and ready to set up your payees. Enter Payee information and click Save.